The tree is an Edo Higanzakura with an estimated age of 600 years and is a giant cherry tree that is 18 m in height and has a trunk size of 7 m. The tree is divided into three branches at 1 m above the ground, revealing a graceful balance with splendid branches with equilibrium of about 20 m toward the four directions of east, west, north and south. 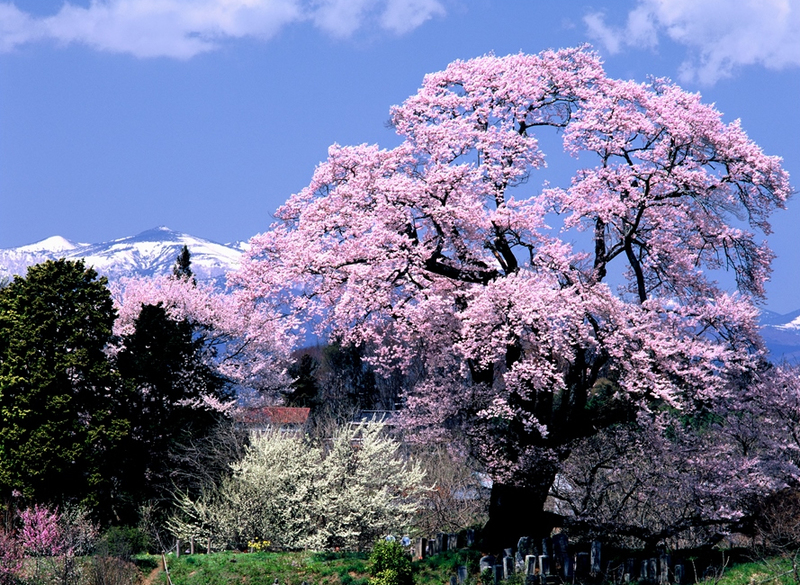 The tree is Fukushima prefecture designated natural treasure. It is near the border with Miharu-cho where there is the "Miharu no takizakura(cherry tree of Miharu)" which is one of Japan's most prominent cherry trees.